Are you fed up with those clogged drains? Thinking about fixing it own? If yes then you have landed at the right page. This article talks about various drainage problems and some quick ways to prevent them. Whether it is your bathroom toilet or kitchen, nobody likes to step in the wetland. The issue of blocked drains can arise any time whether you are getting ready for your office or having a nice shower before bed. However, there is no need for you to have that sinking feeling with a blocked drain, as you can call a plumber and get it resolved. The homeowners in their regular life face various types of drainage issues. Although water is the most essential element of life but it can become a great nuisance when it results in drainage problems. Various drainage related issues generally include saturated soil, pooling, puddling, blockage and downspout water. All these problems are actually bad for your backyard and can make it an ugly swamp. In fact, you must be aware of the fact that drainage issues can cause mold and moisture problems, which can further lead to weakening of the home foundation. Homeowners who have bare soil garden must take extra care of it. Since clay based soils hardly absorb moisture, it can give rise to surface water that does not drain away easily. Moreover, if your garden sloped down towards your home then it can be a problem too. 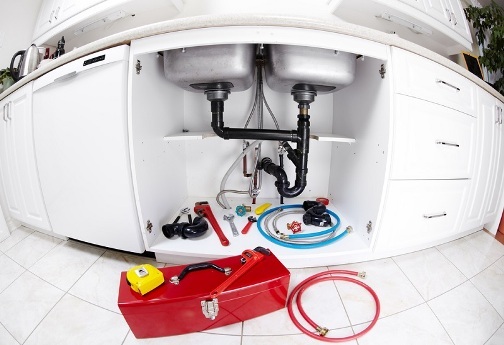 After you have analyzed the blocked drain issue on your level but you are not able to fix it on your own, it is the best time to call the experts. You must never overlook the drainage issue, as the water can seep down your home and create pressure. In fact, it is very common for unresolved drainage issues to seep through your walls, resulting in cracks, which can be dangerous. 1. Many a times, drains block when you put any thick greasy substance in it. Thus, you should always keep cooking grease aside in any cardboard container and then put it off in the dustbin. 2. In order to reduce soap scum problems or hair going down the drain, you can use a drain-gate or a screen over the drain opening. 3. Pouring running hot water into the sink also works. Hot water will remove the food oils from the drain pipes and thus prevent blockages. 4. Use baking soda and follow it with hot water. Baking soda is considered a great cleaning agent and it absorbs foul odors too. It will make your stinking drains smell good and will keep it clean. 5. Another trick to avoid blocked drains is to fill an ice-cube tray half with vinegar and water. You must know that vinegar will not freeze alone. Put those ice-cubes directly into the sink drain. 6. You can also use small amounts of lye, which is safe. However, you must always read the instructions and follow the directions as mentioned on the label of it. Make sure you have numbers of plumbers in your vicinity beforehand. Negotiate the rates beforehand, so that when the need arises, you aren’t in a fix, and thus get overcharged unfairly. Of course, it is important to hire a reputed plumber who has some years of experience behind him. Your friends and colleagues at work are probably the best bet when it comes to verifying authenticity of a plumber.